Principal Conductor and Artistic Director of the Ural Philharmonic Orchestra, Artist Emeritus of Russia, Prize Winner of the State Prize of the Russian Federation of 2008. Dmitri Liss is a graduate from the Moscow Conservatory where he studied with the Music Director of the Moscow Philharmonic Orchestra, Professor Dmitry Kitayenko. Dmitri Liss started to work with this orchestra as Kitayenko’s assistant. He won the International Competition of Young Conductors «Lovro Matacic» (Zagreb, 1995). Dmitry Liss is Artistic Director/Chief Conductor of the Ural Philharmonic Orchestra since 1995. 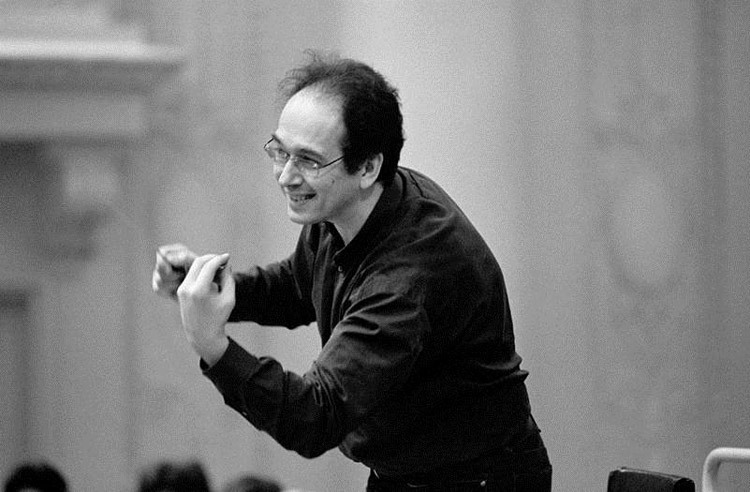 Before from 1991 to 1995, he was the Principal Conductor of the Kuzbass Symphony Orchestra. In 1997-1999 he was Principal Russian Conductor of the American Russian Youth Orchestra. Recently, Liss was appointed Associate Conductor of the Russian National Orchestra (1999-2003). In February 2009, he made his debuts with the Orchestre National de France and Arkadi Volodos, reinvited for the season 1010. In the season of 2005-06, D. Liss recorded 6 CDs for Warner Classics Miaskovsky’s Symphonies Nos. 6 and 10; Tchaikovsky’s Piano concerto No. 1, Piano concerto by Khachaturian with Boris Berezovsky) and for Mirare Harmonia Mundi complete Piano concertos by Rachmaninov with Boris Berezovsky; Tchaikovsky Symphony No. 6 and Francesca da Rimini; Rimsky-Korsakov’s Scheherazade and Russian Easter. He recently recorded for Mirare Brahms 2nd Piano Concerto with Boris Berezovsky and the Ural Philharmonic Orchestra. This current season, he will be in December 2011 in Lille with Orchestre National de Lille, in Nantes and Tokyo for La Folle Journée with Ural Philharmonic Orchestra in February and May 2012, in Lisbon in April with the Lisbon Symphony Orchestra, in Brussels in September with Orchestre National de Belgique, in Bucarest with Boris Berezovksy and the Bucarest Philharmonic Orchestra in November.